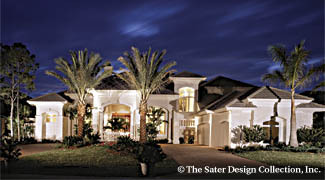 Total Living: 5,820 sq. ft.
Timeless columns, multiple arched openings, and a grand porte-cochere are deserving of an ovation. 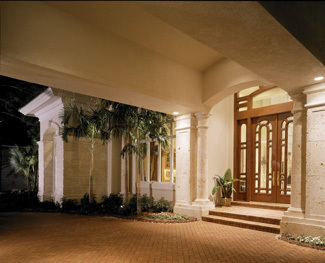 The covered porte-cochere ensures guests will have a pleasant entry no matter what the weather. 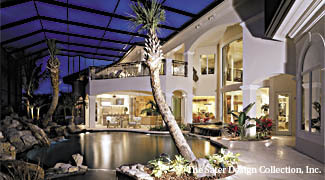 The home wraps around the rear lanai and pool area and offers multiple locations for enjoying outdoor living.